These are sticking patterns that were created a long time ago. In 1386 the Swiss army became the first military institution to use drums to convey signals to troop at the Battle of Sempach. The Swiss drummers saw a need to standardize their playing so they would all play the same patterns at the same time in unison. They are an important part of a drummers skill set and vocabulary. The definition of a Rudiment is "a basic principle or element or a fundamental skill." Carmine's award-winning book, now available with the DVD Ultimate Realistic Rock, The Basics. The DVD features instruction through selected exercises by Carmine Appice and special guests Kenny Aronoff, John Tempesta, Vinny Appice, Bobby Rondinelli, and Rick Gratton. Also includes 2 enhanced CDs that teach you all the lessons in the book. Morph those boring 26 standard rudiments you learned into mind-blowing grooves, fills and solos!All that rhythmic sophistication you hear from great drummers can easily be broken down into its basic elements: the rudiments. Rudiments are the drum language: a basic vocabulary of rhythms that drummers arrange and rearrange when they play grooves, solos and fills. This book shows you how to apply them to the drum set in all styles of music. When you start combining the hands and feet, orchestrating different parts of the rudiments between the various drums and cymbals on your set, you'll start to make inspired music.Fifty illustrated grooves are reinforced on the accompanying CD so you can hear how the rudiments should sound when you apply them to the drum set. Discover how these basics become the foundation for all grooves and moves, including: single and double strokes; stroked rolls; drags; flams; paradiddles, double paradiddles, paradiddle grooves and fills; combinations and more.Your choices of accents, tempos, style and feel are what will ultimately make the rudiments into music. Learning and internalizing them will help you expand your vocabulary to play creative grooves, fills and solos. Use Rudiment Grooves for the Drum Set to create an infinite number of combinations, in any style, and at any tempo. The Savage Rudimental Workshop is a fresh and exciting resource for developing total control of the 40 Percussive Arts Society Rudiments. Designed to be used by all levels of percussionists, this approach will help you gain immediate results in a musical context. Component I – Rudimental Exercises. Each of the 40 P.A.S. Rudiments includes a collection of short exercises that allow the player to physically and mentally understand how each rudiment is put together and how it can be played in the most efficient and controlled manner at all speeds and dynamic levels. Component II – Rudimental Solos. Following each collection of rudiment exercises is a solo incorporating only that rudiment, while each solo gradually increases in difficulty from beginning to end. The solos incorporate dynamics, sticking patterns, and phrasing while stressing musicality and feel. Component III – Play-Along CDs. The CDs include selected exercises at a moderate tempo followed by the rudiment solo and musical accompaniment. The solo part is found on the left channel and the accompaniment on the right channel, which enables the player to listen to only the solo material, only the accompaniment, or both at the same time. The CDs also include ten Groove Tracks to be used with the exercise portion of the book. The Groove Tracks offer a number of different tempos, styles, and feels, so the player can practice various exercises to an accompaniment of his or her choice. This is the new official rudiment list as adopted by the Percussive Arts Society. A recording performed by World Champion Snare Drummer, Rob Carson, is included. Knowledge of the Seven Essential Rudiments is necessary in order to perform all other rudiments. The drum rudiments are the language of drummers. They are to us what scales and chords are to the other instruments. Understanding the rudiments allows the drummer to communicate with other drummers and also have the ability to interpret terminology and rhythms that are so often seen in music and music publications.  This book is designed for drummers of all levels who would like knowledge of the snare drum rudiments but havenÂ’t had the advantage of studying them formally. It is a quick, simple approach that can be learned by any drummer who can do single strokes and double strokes [strokes using the stick rebound]. While this method is not meant to be a substitute for the traditional way of learning the drum rudiments, which I totally recommend, one of the advantages of it is that it is a fast, easy alternate method that will give an understanding of the how the rudiments are played and should sound. If nothing else, this book will improve the drummer's overall technique and playing. After studying the approach described, it will be an easy transition to take the study of the rudiments further learning to play them in the traditional way and apply them to the drumset. Learning drum rudiments is essential for every drummer, but just practicing with a pad or a snare drum, speeding up then slowing down in the traditional method, can become a bit tedious. This book has been designed to help intermediate and advanced drummers develop rudiment speed with play-along tracks that start slowly, accelerate, then slow back down. But what sets it apart from other rudiment books is musical grooves, in a number of different styles, which help the drummer to hear the sticking patterns. The melodies in the tracks mirror and/or compliment the left and right hands of the rudiment. This book and the accompanying play-alongs will motivate any drummer to work longer and become better at rudiments because they make practice fun! This book concentrates on the Seven Essential Rudiments and goes into depth on each one. A page is dedicated to each rudiment and there are examples and exercises for both snare drum and the drum set. This Step-by-Step book is unique the way it visually connects photos of the strokes TO the notes for each rudiment. Photos of each stroke are connected to the notes to be played along with the sticking, counts, and syllable counts. There is even a more in-depth description of each rudiment on the side bar of each page. Alternative notation and sticking are also given. This is a more complete and easy way to learn the Seven Essential Rudiments than any other method that I've ever seen! Buddy Rich's Modern Interpretation of Snare Drum Rudiments contains a systematic course for the beginner, and is a great value to the teacher and professional who wishes to increase his knowledge of rudiments. In additon to the elementary principles of music, there are eighty-three lessons of exercises and rudiment, twenty-one reading exercises, ten exercises employing rudiments and advanced rhythmic studies. Written and produced by funk drumming specialist Jim Payne and recommended by drumming greats Peter Erskine, Stanton Moore, Steve Smith, Zoro, and Bill Stewart, this multimedia package combines a wealth of practical ideas with modern technology to make it easier and more intuitive for drummers to learn new grooves and an essential drumming style. It includes a book with fully notated transcriptions and tips plus two DVDs with more than 200 QuickTime video and MP3 audio clips. In creating this package, Payne composed and video-recorded the grooves before transcribing them. The first half of the book, Sections 1 through 14, is organized in a sequential manner; moving from simple grooves to more advanced permutations. Sections 15 through 21 present additional patterns in a more organic and sometimes random progression. To further facilitate the "multi-sensory" learning process, many of the beats are shown in both slow and fast versions. The speed of video loops can be further reduced using the standard software in QuickTime, which is very helpful for teachers and students. Although Payne has included beats that support the development of specific techniques that are required to correctly and comfortably perform contemporary funk drumming patterns, another progressive aspect of the project is its relative lack of purely technical exercises. Author Jim Payne has played, recorded and taught drums for many years and is the author of several books on the subject of funk drumming, including Funk Drumming, The Complete Book of Funk Drumming, The Great Drummers of RandB, Funk and Soul, and 100 Famous Funk Beats. This book provides hundreds of useful backbeats for the drumset. You will learn to play backbeat grooves with solid time and good feel. Beats are shown with essential variations and embellishment. Rock, blues, pop, funk, soul and many other styles are included. There are lessons on muscle memory, practice, ghost notes, open hi-hat, hi-hat with foot. This book is uniquely organized to develop coordination and confidence. The CD demonstrates the examples found in the book. A "one-on-one" lesson with MI instructor Ed Roscetti, this book/CD pack teaches the feel, grooves, fills and styles you need to know for funk and hip-hop drumming. Includes lessons on: feeling the downbeats; syncopated backbeats; in between straight and swing; feeling the upbeats; three ways to explore and play time; hip-hop shuffle; straight time; moving the sixteenths; and more. The accompanying CD contains tracks for demonstration and play-along. Percussion Institute of Technology instructor Ed Roscetti gets inside the styles and grooves of blues drumming with applications for rock, funk and jazz approaches to the blues. This package includes: a CD with demo and play-along tracks in a variety of blues styles; studies in 4/4, 12/8, half-time, and 6/8 time feels; rhythm and sticking exercises; drumset grooves and fills; blues charts that correspond to CD tracks; and more! "Blues Drumming should be in every drum student's library of books. "- Joe PorcaroAlso available by Ed Roscetti:Drummer's Guide to Odd Meters00695349 Book/CD. John Bonham is one of the legends of rock 'n' roll, and his drumming style helped to elevate Led Zeppelin to greatness. This revised edition contains 23 of Bonham's most famous drum transcriptions from his work with the legendary Led Zeppelin. Also included are editor's notes from each record and note-for-note transcriptions. This book contains complete, authentic drum notation and play-along tracks to eight Led Zeppelin classics. There are two versions of every song on the included CDs: an instrumental sound-alike recording, and an instrumental accompaniment track (without drums) so you can play along. When you use the CDs in your Mac or Windows-based computer, the TNT (Tone N Tempo) Changer lets you easily loop sections for practice, slow tracks down or speed them up without changing the pitch, change the key, and switch back and forth between full instrumental and accompaniment tracks. John Henry "Bonzo" Bonham was the godfather of hard rock drumming - and he remains an idol to legions of Led Zeppelin and heavy metal fans worldwide. Although Bonham had to be courted away from more lucrative offers, he joined the newly formed band in 1968, helping guitarist Jimmy Page and vocalist Robert Plant create such famous songs as "Stairway to Heaven" and "Kashmir" until his sudden death in 1980 at the age of 32. His unmistakable drum patterns are among the most emulated and sampled by today's rock drummers. This book is the first biography focusing on Bonham, providing a detailed track-by-track analysis of his greatest recordings, 45 color photos, and the most detailed and accurate inventory ever of Bonham's drum kits and percussion equipment.